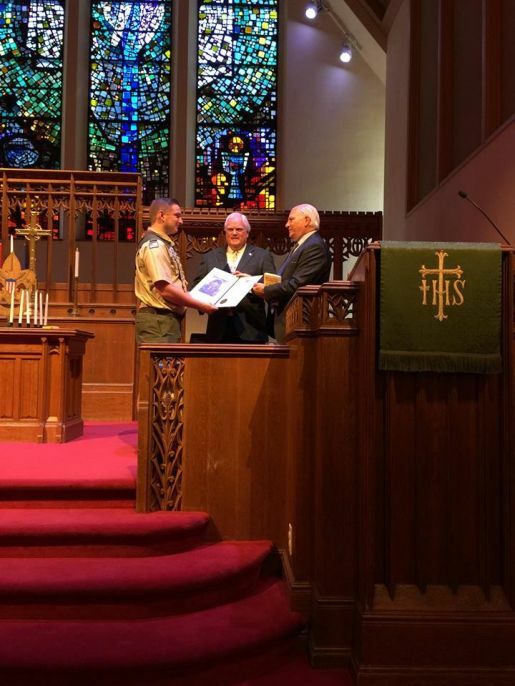 Senator Mensch congratulated Julian Weber on his Eagle Scout Court of Honor. I will be hosting a First Step Seminar along with the Small Business Development Center on October 19 from 2 p.m. to 3:30 p.m. in the Red Hill Borough Council Chamber at 56 West Fourth Street in Red Hill. This event is free but pre-registration is required. To register, visit https://pasbdc.ecenterdirect.com/events/25067. The seminar will provide an overview on how to start a business, how to obtain financing, how to identify licenses and applications, the importance of a business plan and more. 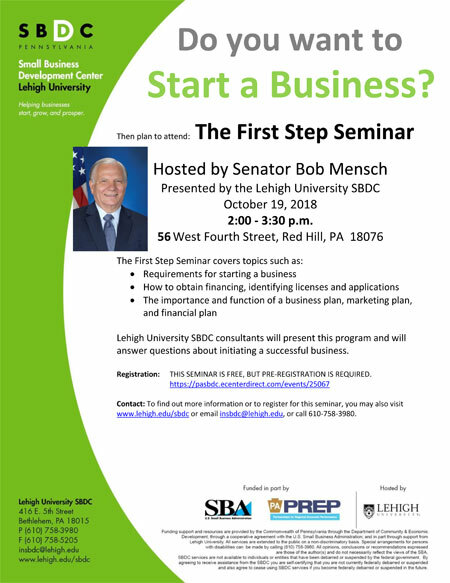 To find out more information or to register for this seminar, you may also visit www.lehigh.edu/sbdc, email insbdc@lehigh.edu or call 610-758-3980. With the warmer weather and longer days bringing increased travel, the Pennsylvania Department of Military and Veterans Affairs (DMVA) suggests an Honoring Our Veterans license plate for your vehicle as a great way to show patriotism and also support veterans in need. Available for passenger cars, motorcycles and light duty trucks up to 14,000 pounds, an Honoring Our Veterans license plate costs $35, with $15 dollars benefitting Pennsylvania’s Veterans’ Trust Fund (VTF). The VTF issues grants to statewide charitable organizations that aid veterans service organizations and county directors of veterans affairs. These valuable advocates use available grants to assist veterans in need of shelter and necessities of living, among other services. In addition to the sales of these license plates, there are a number of other programs designed to help fund the VTF in support of Pennsylvania veterans. To learn more about other VTF programs or to purchase an Honoring Our Veterans license plate, visit www.vtf.pa.gov or follow DMVA on Facebook at www.facebook.com/padmva. Pennsylvania’s 2018-19 resident hunting license is now available for $20.90, according to the Pennsylvania Game Commission. Pennsylvania residents ages 17 to 64 receive one antlered deer tag, one fall turkey tag, one spring turkey tag, and small game hunting privileges for one year with the resident hunting license. While driving, remain informed of weather conditions and respond accordingly to any flash flood watch or warning. Travel information is available through 511PA. The Departments of Health and Environmental Protection strongly recommend that all residents minimize their exposure to mosquitoes. DEP conducts regular surveillance and control to manage mosquito populations around the state. So far, DEP has detected WNV-infected mosquitoes in 48 counties, including Berks, Bucks and Montgomery.